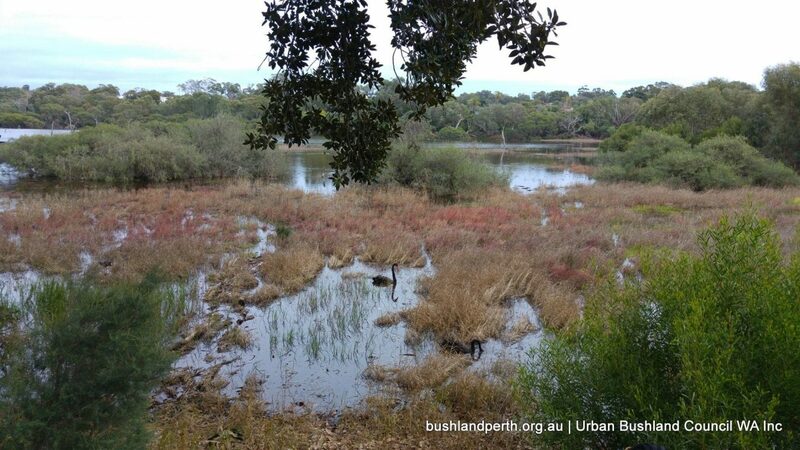 Following good winter rains this year, our Perth wetlands are looking healthier than in past years. 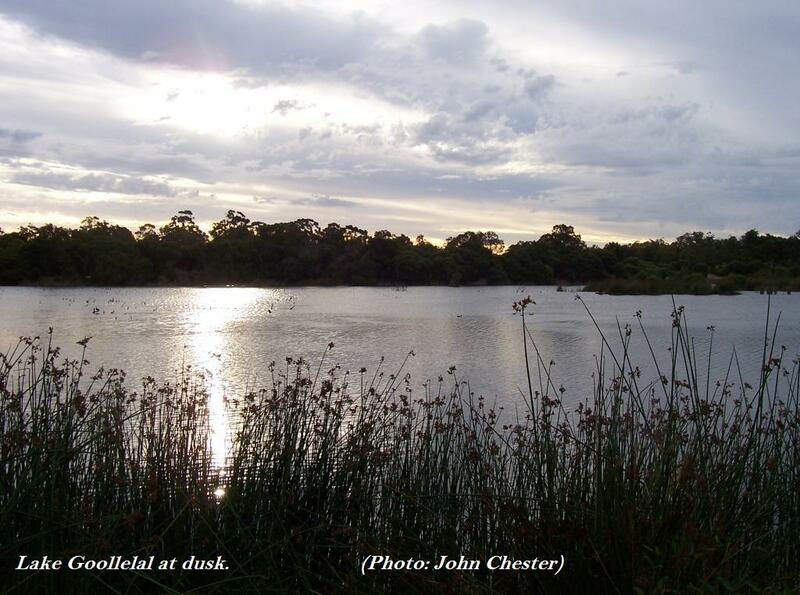 Therefore, this week we feature three wonderful wetlands areas; in Bayswater, Claremont and Joondalup. Lake Claremont is an ephemeral wetland. It occurs in a depression within the Spearwood System of coastal sand dunes and is 10 km west of Perth. Geologically, the lake is a true swamp. It lies above but separate from Perth’s underground aquifer. The subsoil water flows continuously towards the river and ocean in a north east to south west direction. However, this area was cleared for farmland for Pensioner Guards in the 1800s. It then became market gardens, a rubbish dump and more recently recreation. More recently, through the highly successful partnership between the Friends of Lake Claremont and the Town of Claremont, the Lake has become a shining example of the benefits of a major environmental rehabilitation program. Lake Claremont is classified as a Conservation Category Wetland and a Bush Forever Site. Notably, over 87 recorded species of birds have been recorded here. The Friends of Lake Claremont care for this wetland and welcome new volunteers. So, get to know more about this wetland and the Friends group via their Facebook page or website. Visit the recently remediated Eric Singleton Bird Sanctuary to enjoy the large number of bird species currently breeding there. It is a constructed urban wetland in Bayswater, less than 8 km from the city. The Sanctuary covers approximately 4 hectares. In the 1950’s this seasonally wet depression was drained. Then the surrounding land was used for landfill between 1972 and 1981. The remediation work has restored a degraded wetland and improved water quality entering in the Swan River from the Bayswater Brook Catchment. This was a joint project by the City of Bayswater and the Department of Parks and Wildlife. Get to know more about this bushland treasure by checking out our website. The Yellagonga Regional Park is often called the Kings Park of the north. It is only 20 km up the Freeway and a short stroll from the Joondalup City Centre. It is primarily a wetlands system that includes Lake Joondalup, Beenyup and Walluburnup Swamps and Lake Goollelal. They are also a continuation of the chain of lakes that begins at Loch McNess in Yanchep. Importantly, they are some of the last remaining freshwater wetland systems on the Swan Coastal Plain. A wide variety of ecosystems from upland forest, fringing wetland and aquatic vegetation to open water bodies can be found in Yellagonga. Within this park you can find more than 120 species of birds. And we know that at least 18 species breed there. Such a rich diversity and complexity of ecosystems has a very high conservation value. Get to know more about this wetland and the Friends group via their Facebook page or website. Enjoy our wetlands treasures. Take an interest in protecting our very fragile and precious natural environment. 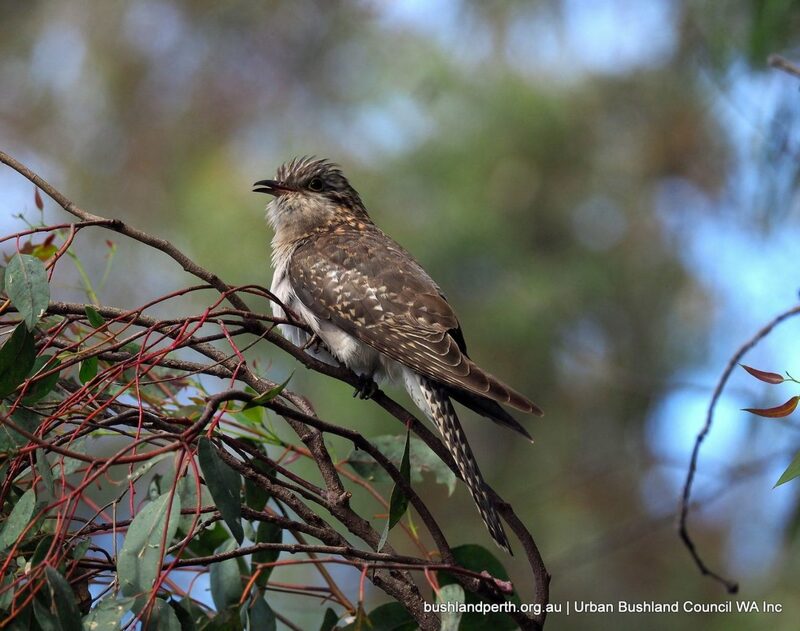 Join one of our member groups, attend one of their walks or become a supporter of the Urban Bushland Council.